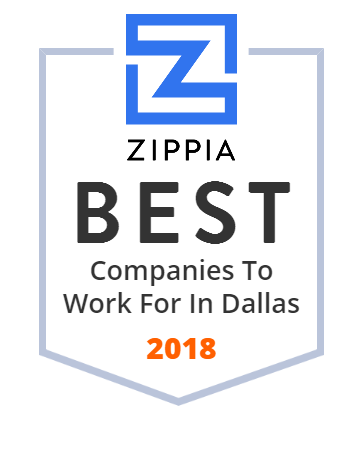 We hand-curated a list of the best companies to work for headquartered in and around Dallas, TX using data on salaries, company financial health, and employee diversity. RSR Corporation, a secondary lead smelting company, operates lead acid battery recycling facilities. It recycles lead acid batteries into refined lead. The company was incorporated in 1970 and is based in Dallas, Texas with facilities in Indianapolis, Indiana; Middletown, New York; and City of Industry, California. RSR Corporation operates as a subsidiary of Quexco Incorporated. RSP Permian, Inc., an independent oil and natural gas company, engages in the acquisition, exploration, development, and production of unconventional oil and associated liquids-rich natural gas reserves in the Permian Basin of West Texas. It owns interest in contiguous acreage blocks in the core of the Midland Basin primarily in the adjacent counties of Midland, Martin, Andrews, Dawson, Ector, and Glasscock. RSP Permian, Inc. was founded in 2010 and is headquartered in Dallas, Texas. BASA Resources, Inc. is a Dallas based independent oil and gas producer whose strategic focus is on the analysis, acquisition, and management of proven developed producing reserves. Energy XXI Gulf Coast, Inc., an independent oil and natural gas company, engages in the acquisition, exploration, development, and operation of oil and natural gas properties onshore in Louisiana and Texas, and offshore in the Gulf of Mexico. As of December 31, 2016, it had 121.9 MMBOE of proved reserves. The company was incorporated in 2006 and is headquartered in Houston, Texas. HomeTeam Pest Defense is the 3rd largest residential pest control company, and the No. 1 pest management company working with homebuilders. Home Builders who are building your new home, they have pest control built-in and taken care of. Community Waste Disposal is the largest privately owned waste management company in North Texas. We can handle anything you throw at us! HEADINGTON OIL COMPANY LLC produces and extracts crude oil and natural gas. The company also develops real estate properties. HEADINGTON OIL COMPANY LLC was founded in 1976 and is based in Dallas, Texas. Marine Petroleum Trust, together with its subsidiary, Marine Petroleum Corporation, operates as a royalty trust in the United States. As of September 1, 2016, it had an overriding royalty interests in 59 oil and natural gas leases covering an aggregate of 217,056 gross acres located in the Central and Western areas of the Gulf of Mexico off the coasts of Louisiana and Texas. Marine Petroleum Trust was founded in 1956 and is based in Dallas, Texas.